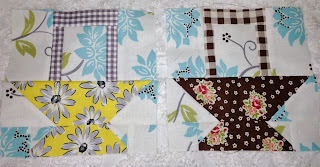 I'm catching up to the Row Along at Lori's blog. Baskets are the next to last row. There are 7 baskets in this row. Of course choosing fabrics is just the most fun. My goal was to get a good mix of my colors in every row. When I sew everything together we will see if that worked out. I went with gingham handles for all the baskets. The gingham is in several different sizes or scale. Next I need to get the baskets sashed and sewn together. These baskets were certainly another fun block to make. PS Today is Mason's 18th birthday. Now ALL my kids are adults. Whew. 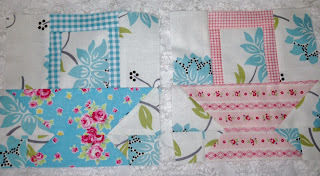 Love the idea of all gingham handles...clever and cute...that's you! I LOVE LOVE LOVE your new header!!! Now I want that quilt! Happy Birthday to Mason -- And Job Well Done to You! Your little baskets are darling -- wonderful fabric choices, as always! 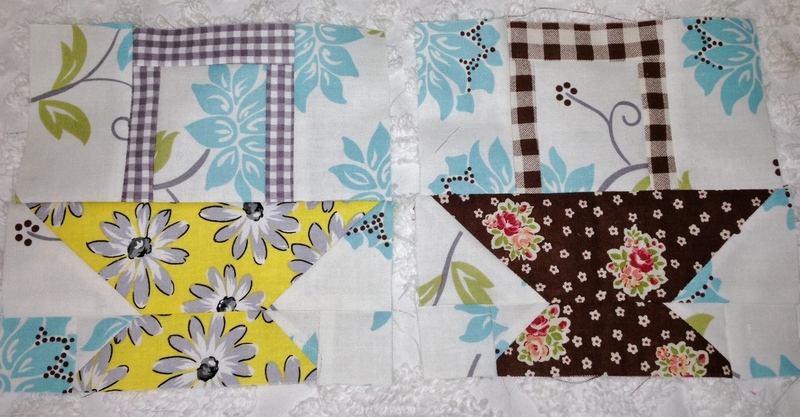 This block is super cute - but then again, they're all adorable! Happy Birthday to Mason! How can he be 18 already? Time sure does fly. Love your baskets. I'm almost done with the tulips, and have so loved working on this Row Along. Love how they turne dout. I'm really wishihg I'd used a background with more pattern, it looks fantastic. Adorable blocks, the flowery background is perfect with the baskets. How fun to have your youngest turning 18. I'm a year behind you! Love all the springy florals. By chance is the last basket in black Lecien? I love baskets and your's are so cute! I remember that feeling of yes they are all adults now too. Happy Birthday to your son! OOOOh I heart those baskets so bad! And I love the background fabric! Happy Birthday to your son!! I finally beat you on getting this row done in fact I got all my rows sewed together. Bring yours to Polly's so I can see it nd I will bring mine. See you next week. Love your baskets, but REALLY LOVE your new header. I seriously adore your London quilt! SO cute! And I love seeing your London quilt on the couch. Did you know we're headed back to OK? Sorry we didn't have a chance to get together while we were closer! These baskets are so cute with the gingham square handles like they came right out of a doll house. 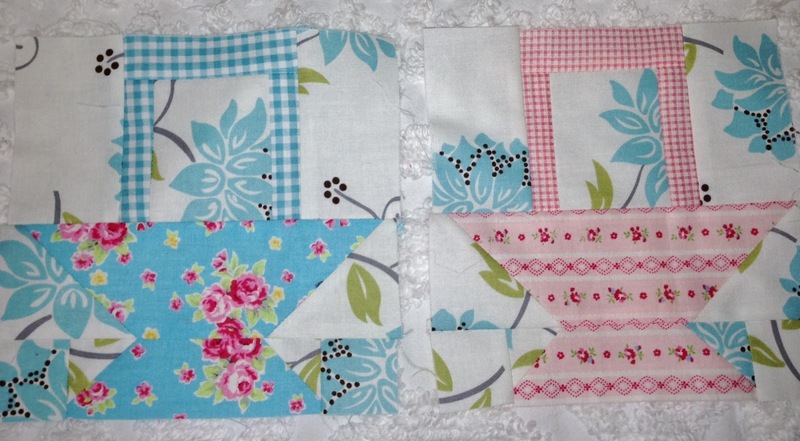 Your fabric choices are so sweet and cheerful! Love the new banner with your London quilt. It is wonderful! Nanette, your baskets look great and I love your new header! Wonderful blocks.Happy birthday to your son!! All of these images are looking fantastic thank you very much for all the effort which you did for us.